The market today offers a lot of option to choose from when it comes to smart TVs. There are a number of brands offering some feature rich smart TVs such as Sony, Samsung, and even the Chinese tech giant Xiaomi. Shinco, the Chinese consumer electronics manufacturer is gearing up to bring its next smart LED TV in the Indian market. 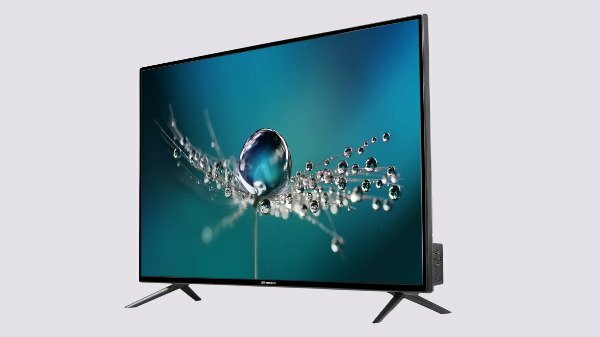 The company is going to launch a 65-inch smart 4J LED TV in the country which is expected to be released on January 19, 2019. The Shinco 4K smart TV comes with a Quantum Luminit panel that has a Wide Color Gamut. The smart Tv supports HDR 10 and 95 percent NTSC. The TV comes integrated with an inbuilt Sound Bar which has a 20 Watts output and also Boosted Tweeters for enhanced audio output. Under the hood, there is 1GB of RAM and 8GB of ROM onboard. The latest smart TV from Shinco is bundled with an ‘Air Click Remote’ that has a QWERTY keypad. The remote will allow the users to control the TV from any corner of their room for easy accessibility. In terms of connectivity, the 65-inch 4K smart TV comprises of three HDMI ports, two USB ports, and one Ethernet port. The device also offers wireless Bluetooth connectivity. On the software end, the smart TV is still using an older Android version which is Android 7 Nougat: a higher Android version would have been much appreciated. As for the pricing and availability, the Shinco 65-inch 4K smart TV is expected to be launched in India on January 19th. The smart TV will come with a price tag of Rs 49,990. Notably, the price tag of Rs 49,990 will be valid till January 23, following which the price of the TV will go up to Rs 59,990.